Independent Check Ltd is based in Cardiff and was set up in late 2012 as a company to distribute the Independence Checker software, the system which helps IFAs provide evidence of their independent position and advice, meeting the new RDR rules laid out and introduced in 2013. During 2013 the Company started to produce guides for financial advisers, as a result of a growing number of requests for such guides. This led on to the development of the white-labelled guides service being formally launched in November 2013; in 2014 this division of the Company became known as IC Guides. In 2015 this was extended to guides for Accountants. Then in 2018 Own Branded Video was launched to provide readymade animated video for Adviser Firms and Accountants to use under their own branding. Today, 2019, Independent Check specialises in these two areas – guides and video, providing high quality content for firms to access to use as their own. Independent Check is a committed supporter of the Intermediary and Accountancy Sectors; passionately pursuing activities and offering services which will enhance this important part of the Financial Services market well into the future. 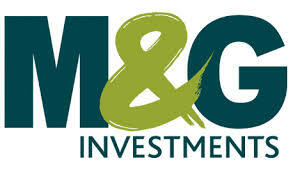 Independent Check Ltd are working closely with M&G to support the development and expansion of the IFA sector.